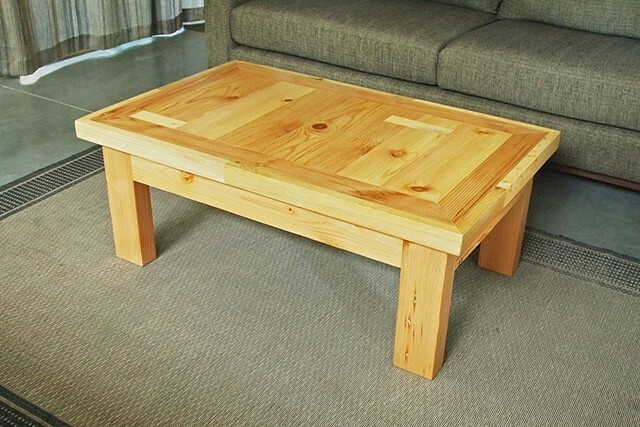 Salvaged wood coffee table made from a variety of old pine and fir lumber. The wood has nail holes and splits which have been patched and sanded giving it a rustic yet refined appearance. It has a hand applied water water based top coat.